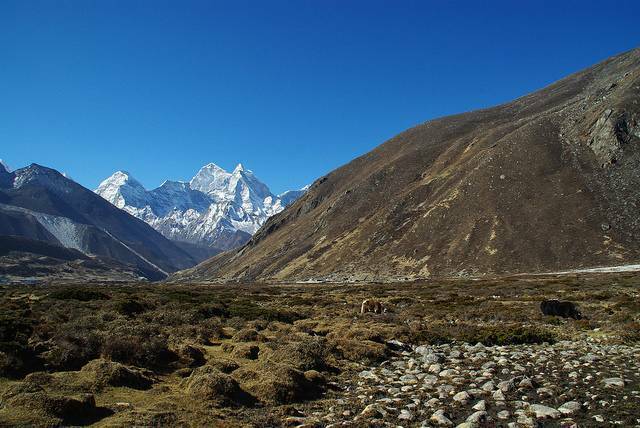 Lobuche is a Nepalese mountain or a Trekking peak which is located in the Khumbu region of Nepal. Standing at an elevation of 6,145 meters it has two main peaks, Lobuche Far East and Lobuche East among which Lobuche East is 26 meters higher. Lobuche is a favoured trekking destination since trekking in this region can be a bit easy if the local infrastructure is strategically used. The local Sherpa people are very friendly and are always ready to provide the trekkers and tourists which the necessary requirements. The area provides phenomenal mountain scenery which looks straight out of a postcard. The paths are properly formed and well maintained which makes it easy to trek this region. Mountaineering in the Lobuche can prove to be a refreshing experience!